Centro autorizado para tratamiento VFU. Somos un centro autorizado para el tratamiento (CATs) de vehículos fuera de uso (VFU). Nós podemos verificar isso. Wir können es überprüfen. Código interno: 713405. Referencia : 038906461B, Observaciones: Bosch 5 pines. Wir können es überprüfen. Nous pouvons le vérifier. Features: Brand New In Factory Original Package. Not refurbished or re-manufactured parts. Design: Inline (Frame Mounted) Includes a everything needed for a full easy replacement. Position the vehicle in a clear, level, well ventilated work area. Description: Fit for Reynolds 0580464038 0580464070 Allow the vehicle to cool before performing any operation. It is for electric fuel injection only. Main fuel pump relay for all the vehicles listed. Relais de pompe à essence principale ( ou relais tachymétrique ) pour les véhicules suivants - Renault Super 5 Gt Turbo phase 1. - Renault Super 5 Gt Turbo phase 2. [77 kW tdi], Año: 2008. Referencia : 0281002531/038906461B, Observaciones: 5 pines null. Código interno para información: 300930. No se realizan envíos internacionales en territorio insular. Features: It is in stable performance, wide application. Just connect the car battery or battery can use it. By using it you can quickly and easily transfer fuel oil. The base plate gives you the opportunity to mount the diesel pump firmly. The coarse filter prevents impurities from getting into heating oil. Description: Small size, light weight that is so portable to be taken..
REGATA 1.3, 06/1983-08/1986. REGATA 1.5, 02/1984-08/1986. REGATA WEEKEND 1.3, 06/1983-08/1986. REGATA WEEKEND 1.5, 02/1984-08/1986. ZASTAVA 55, 65, 1.1, 1.3, 10/1978-12/1988. RITMO 1.1, 03/1983-08/1988. Getriebe / Motor. Original Peugeot Fördermodul, Harnstoff. Verwendung: Harnstoffeinspritzung. Höchste Sicherheit durch Originalteile. PEUGEOT - 1525. LK / 1525LK. Wir beraten Sie gerne individuell zu Ihrem Fahrzeug! FOR PORSCHE CAYENNE 955 9PA 3.2 3.6 4.5 4.8 PETROL IN-TANK FUEL PUMP. Car : PORSCHE Cayenne. If you like to buy only one then We do have separate pump as well. Fitting Position: Left Right. before placing an order. Förder Pumpe Kraftstoff für Benzin oder Diesel. Mit Anschlußflanschen M10 x 1 Außengewinde. 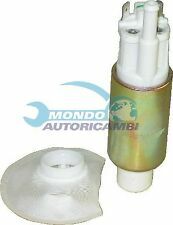 Referencia Motor: Y17DTL. Model: Combo. Tipo de articulo: Bomba Combustible. Combustible: Diesel. De forma consecuente con lo establecido en la Condición 3.2. anterior, HNOS. Exclusión específica de garantía sobre la idoneidad de los Productos. Referencia : 0281002940 / 55561912, Motor: 1.3 CDTI, 5 puertas, Observaciones: bosch; Código interno: 156642. Nós podemos verificar isso. Wir können es überprüfen. Nous pouvons le vérifier. Modèle du véhicule : (Citroën) ZX, (Peugeot) 306. Citroën ZX 1.6i 88cv. Citroën ZX 1.8i 101cv. Citroën ZX 1.8i 16V 110cv. Citroën ZX 1.9 D 68cv. Citroën ZX 1.9i 120cv. Citroën ZX 2.0i 16V 152cv. Pompe à carburant. 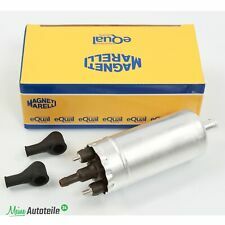 POMPE DE GAVAGE RENAULT MOTEUR 1.9 ET 2.2 DCI. Renault Laguna 2 1.9 Dci. Renault Espace 3 2.2 Dci. Renault Kangoo 1.9 Dci. Renault master 2.2 Dci. Pompe à carburant. Observaciones: BOSCH:0281002531. Nós podemos verificar isso. Wir können es überprüfen. Die Benzinpumpe eignet sich Hervorragend für Turbo umbauten. Die Benzinpumpe kann als Innentank oder Außentank Pumpe verwendet werden. Bosch Benzinpumpe 044. Hier können Sie eineOriginale BOSCH 044 Benzinpumpe erwerben. Pompa elettrica carburante con pressostato . pressione 0,1-0,4 Bar - 12v. misure : ingombro totale L 150 X 85 ( staffa ) - cilindro pompa Ø 52 - tubi. o impurità del carburante possono danneggiarla. 7700104018D | 7700104018. 362428 - BOMBA INYECCION RENAULT LAGUNA II (BG0) Authentique | 0.01 -. Voulez-vous que nous vous assurions que cette pièce correspond à votre véhicule?. Nous pouvons le vérifier! Código interno: 108551. Wir können es überprüfen. Nous pouvons le vérifier. Dieselpumpe für Kraftstoffleitung. Kraftstoffpumpe (2-poliger Anschluss). BMW 3 (E46) 330 d 184 2926 Kraftstoffpumpe: Bj. Einbauort: Kraftstoffleitung Unterboden (Fahrerseite). Gewicht: 0,72 kg,Betriebsdruck: 5 bar,Länge 2: 199 mm,Ø: 43 mm,Anzahl d. Ein-/Ausgänge: 1/1, Diesel,Einbauort: Kraftstoffleitung,Spannung: 12 V, elektrisch. 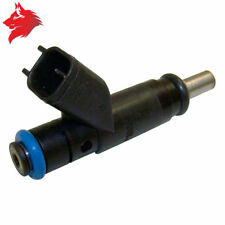 BOMBA COMBUSTIBLE BMW SERIE 1 BERLINA 118d, Año: 2007, 7190943, 3 PUERTAS. Todas y cada una de nuestras piezas están etiquetadas e inventariadas hasta el más mínimo detalle. Nós podemos verificar isso. Referencia : 03G906461C Código interno: 819579. No se realizan envíos internacionales en territorio insular. Código interno: 438306. Bomba combustible PEUGEOT PARTNER Familiar, Año: 2001 0445010046. Wir können es überprüfen. Nous pouvons le vérifier.